British Billionaire Lord Michael Ashcroft is a well-known philanthropist in the United Kingdom, but he claims that his philanthropy was inspired by the culture of wealthy people in the United States, who see it as their civic duty to give to charitable causes. With that spirit, he founded Crimstoppers in 1985 and then went on to join The Giving Pledge this spring. The Giving Pledge is now up to 105 billionaires who have committed to giving at least half of their wealth away to charity. In his statement, Lord Ashcroft writes that he is not a big believer in inherited wealth, and that while he will certainly provide financial security for his family, most of his estate will go to his charitable foundation. Crimestoppers is the largest community action organization in Britain used to gather information about crimes and provide safety and education for communities. Crimestoppers also rewards anyone with information leading to an arrest and today claims to have facilitated the arrest of 120,000 criminals over the last 25 years. 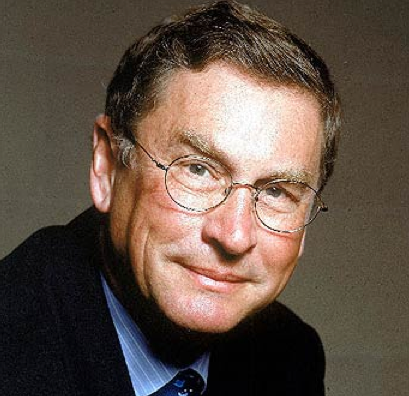 In 1999, Lord Ashcroft founded the Lord Ashcroft International Business School at Anglia Ruskin University. He also sponsors a secondary school focused on technology studies, and his the main investor for Flooved, a startup that seeks to provide free educational resources to anyone seeking skills in mathematics and science. Additionally, Lord Ashcroft is a whale spotter and has funded several campaigns in the Caribbean to stop whale hunting. Raised by a British civil servant, Ashcroft spent several years in Belize during his youth before traveling and becoming an entrepreneur. In 1974, he bought a failing business called Uni-Kleen for just one pound and was able to sell it for 1.3 million pounds just three years later. After that, he became a well-known investor and savvy businessman. He is very active in British politics, having penned several books about the subject and also serving as deputy chairman of the Conservative Party from 2005 to 2010. He still works as a government advisor in various capacities and runs several political websites. He was knighted in 2000 for his significant contribution to the United Kingdom and the commonwealth.